Over the years I’ve really enjoyed reading the blog Growing with Plants by Matt Mattus. It’s got a great design and Matt is an enthusiastic and knowledgeable plantsman. Plus he has a greenhouse! One of my favourite things he does is present a list of annual goals/challenges (like training fuschia topiaries or growing exhibition sweet peas) and then follows up on his successes and failures. Since this is my first year of seriously returning to gardening after New York, I am trying to keep myself in check, but also challenge myself to learn as much as possible. In order to keep myself accountable I will list them here and then report back next year. If you have any tips on anything let me know!! 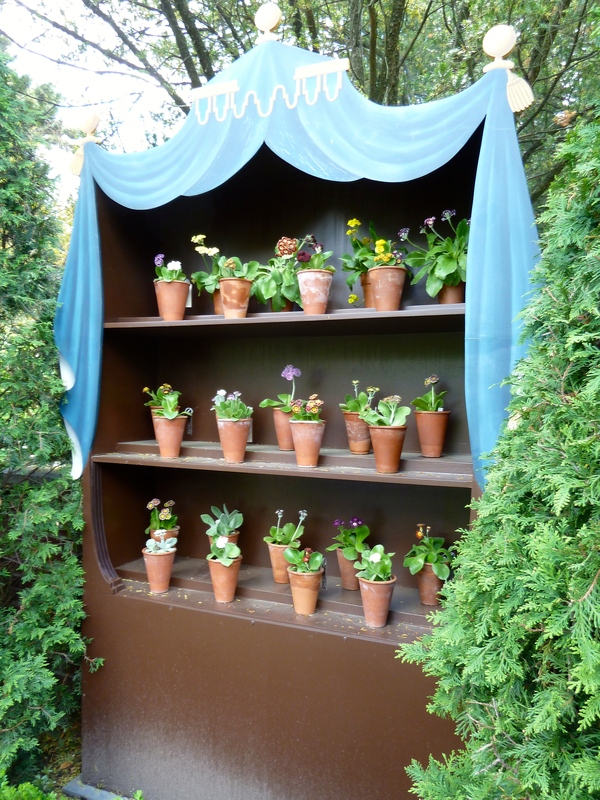 I had seen antique drawings of Primula auricula and of course stunning photos from Chelsea but they had never been something I actively considered growing until my hellebore obsession led me to perusing nurseries such as Ashwood or Woottens of Wenhaston. That people could casually order dozens of different varieties in the strangest colours made me insanely jealous. Luckily we have Wrightman’s Alpines in Canada so I ordered 5 to try, on top of some seeds I bought from an Edmonton enthusiast. Those seeds are currently in the basement under my grow lights and I’m hoping they show signs of life in the next few weeks. I did save a few seeds to sprinkle outside in an area I am going to designate as a random perennial seed bed. May the hardiest win! 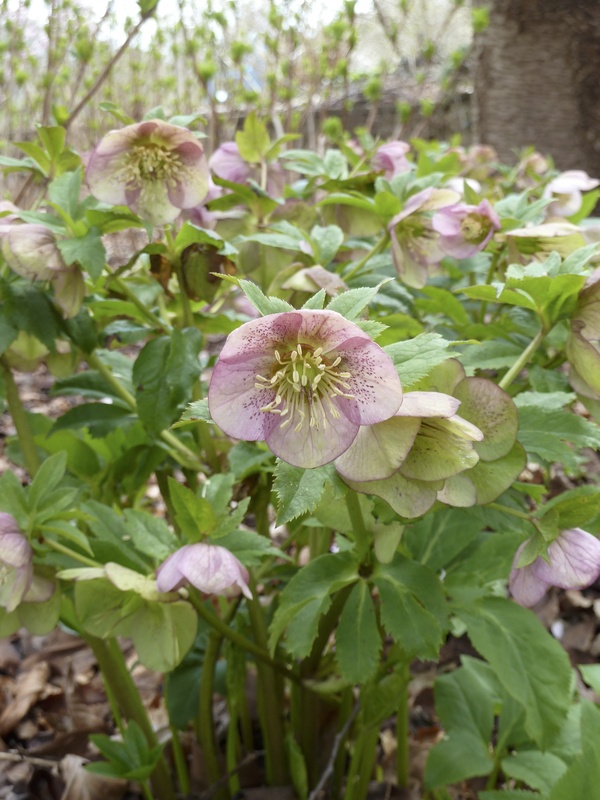 This past fall Uncle D and I transplanted two hellebores from his yard into my new woodland bed. I also picked up two from a local nursery for 75% off because it was October and only crazy people were still gardening. Lucky for me we had a really mild October and I gardened into November. I’m hoping the plants had some chance to establish and I mulched them heavily with leaves. So far we’ve had constant snow cover since it got cold in November which should also help. I also bought a small packet of seeds from Gardens North to try out – many germinated but did not seem to want to release their seed coats. I did some delicate seed surgery and now have a few sets of dark green cotelydons. I’m hoping in the next month or so they start growing a few true leaves. Hellebores are marginally hardy here and for the last few years Uncle D has grown impressive leaves but no flowers. 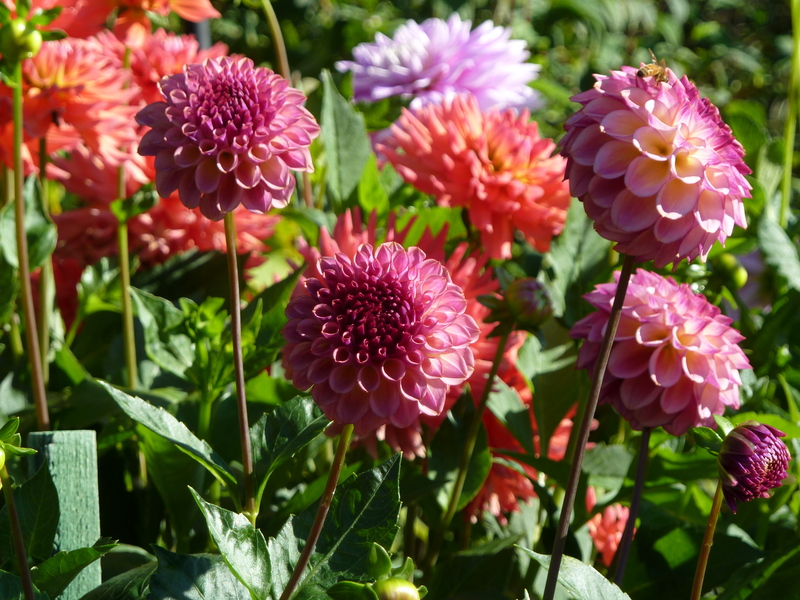 Ah, dahlias. What is there to be said that hasn’t been already. Everyone has gone crazy for them lately, popularized by Floret Flower Farm and the Brooklyn florist set, not to mention Martha Stewart. I’ve only ever grown the bedding types, so this year I am venturing into the unknown with a couple dozen different varieties of tubers set to arrive sometime in April/May from three different growers (Oakridge Dahlias, FGL Dahlias, and Production St-Anicet). I tried to choose early flowering varieties as I know our growing season is significantly shorter than either coast, but even if I get only a few weeks of flowers it should be worth it! In April I will build some raised beds to house my collection during the summer à la Francis Palmer. I’m also planning to pot them up indoors as soon as I receive them so they can get a bit of head start before going into the garden proper. Should be interesting to see how fast I can get flowers and how strongly they perform. Sorry if this is non-specific, but for the first time I’m growing 30 or so different perennials from seed. At this point I have sowed most of them as many need a chilling period, or like clematis, are warm but irregular germinators. So far I have one tiny Clematis stans seedling which germinated in the kitchen cupboard and has since been potted up (one true leaf already! ), plus my little hellebores. I will rejoice if I manage to grow even one or two plants to maturity as they are all things I’ve rarely seen at local nurseries or are fairly expensive to buy. 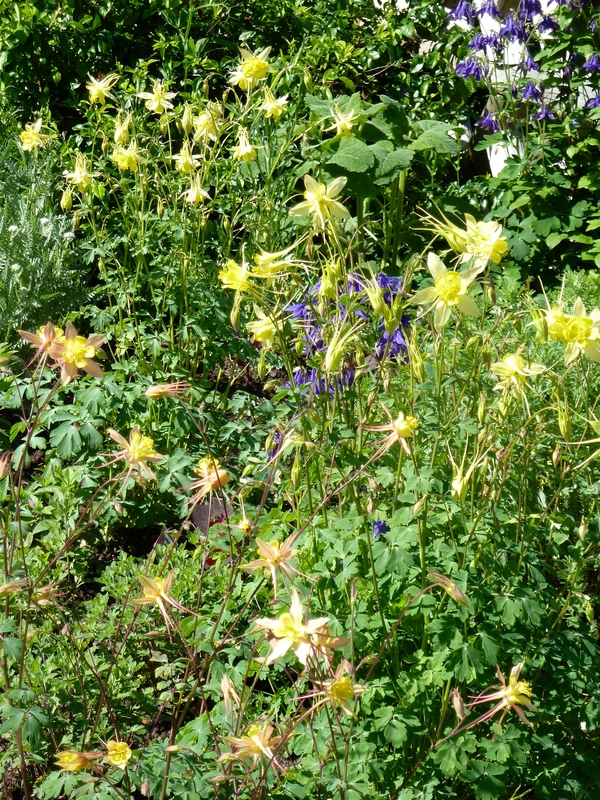 Columbines are one of my favourite flowers. We’ve always had a few around the yard that, despite getting decimated by slugs, come back (or self-seed). Daryl grows some real beauties in his yard as well. Inspired by the wide variations present at Wave Hill, I am determined to grow and encourage wide variation in my beds going forwards. So far I have seed for Aquilegia vulgaris (multiple kinds including ‘Black Barlow’ and some clementines), A. fragrans, A. ‘Leprechaun Gold,’ A x. caerula, and A. longissima, plus I ordered A. chaplinei. I am hoping they will eventually produce some new crosses to play with. If there’s any breeding project I’m excited about, it’s this one, even if it is one of the easiest. 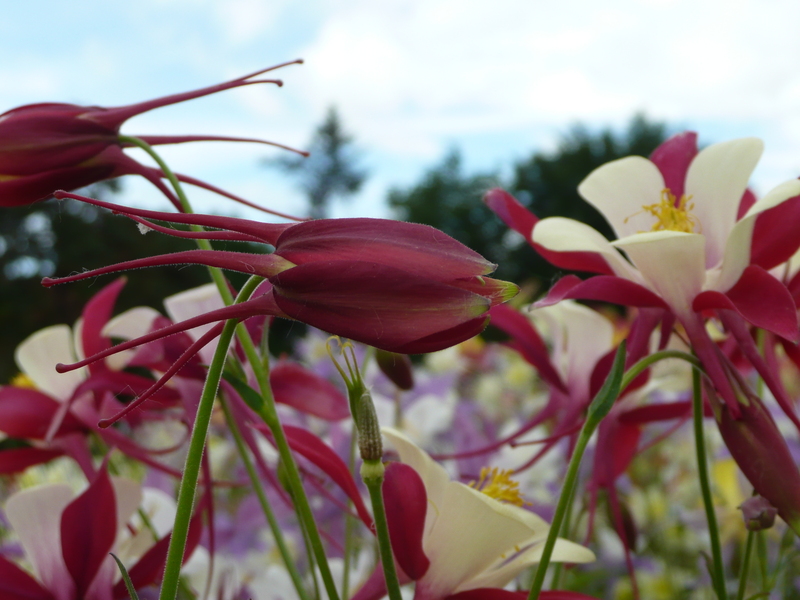 I thought first about trying to breed zinnias as I’ve seen some pretty crazy ones out there on internet forums, but they’re nothing next to the romance of aquilegia… and what bouquet doesn’t benefit from their addition. Two years ago I started making a little woodland garden with some assorted perennials I found on sale at the end of the summer, predominantly thalictrum, heuchera/heucherella and a couple different epimediums. I also transplanted in astrantia that had self-seeded in our yard. Last October I added in some snowdrops, muscari, crocuses, Tulipa sylvestris and Fritillaria meleagris, plus the aforementioned hellebores. I am hoping for a good show this spring! 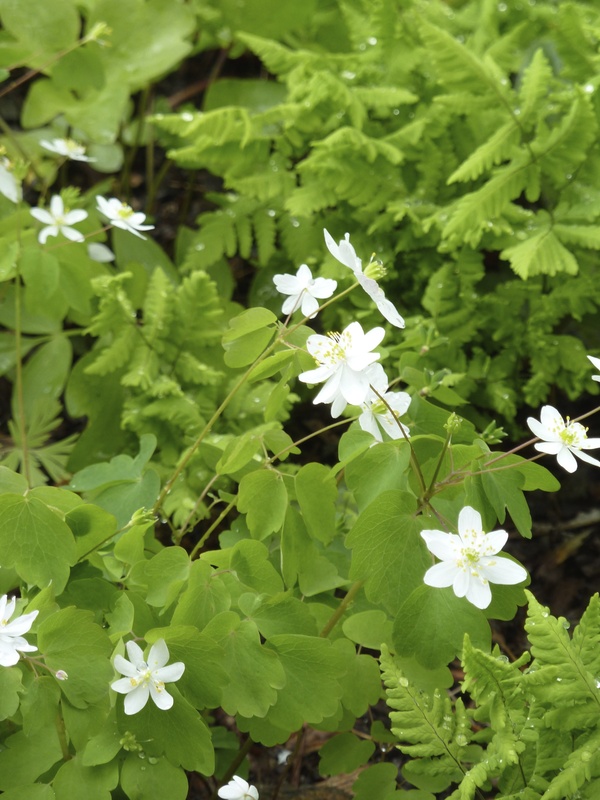 This year I would like to add Anemone nemorosa, Thalictrum thalictroides, Trillium grandiflorum and Uvularia grandiflorum, plus a few more epimediums. I fell in love with Anemone nemorosa and Thalictrum thalictroides in NYC and I am determined to try and grow them here. They should be pretty sheltered as there’s a large saskatoon bush (Amelanchier alnifolia) and the house on the east side of the bed and a 5 ft. wood fence and mountain ash (Sorbus aucuparia) to the South. The snow is usually slow to melt there too. I am also worried that all those spring blooms will be fried in seconds if we end up with one of those instant summer years. It is tough when tulips are only reliably blooming in June. June! The weather could actually inflict anything from snow to a balmy +25. So spring, and this garden, might be a bit of a joke… At least most of the perennials have nice summer/fall foliage.